Planning a home extension can be exciting. As well as expanding your living area, these projects can significantly raise the value of your property. As with all construction projects though, you’ll have to pay careful attention to every last design detail if you want to achieve the best results – and your roof is no exception. The quality of your roof will have a major impact on the appearance of your extension and on its ability to stand up to the elements, so there’s no room for mistakes. To help you along the way, take a look at this brief guide to the roof design basics. One of the first things you’ll need to consider is the shape of your roof. Flat roofs are popular on extensions because they can be cheap and quick to put up, helping to bring the overall cost of the projects down. However, because rainwater can pool on their surfaces, flat roofs are prone to developing leaks and they tend to need regular repairs. In contrast, pitched roofs, while more expensive and difficult to fit, can last much longer and typically need fewer fixes. They can also create extra loft space or larger rooms. As well as considering the practicalities of your roof, think about how good it will look next to the rest of your home. If you want your new extension to blend in seamlessly with the rest of your property, replicate the existing shapes. Alternatively, if you’re keen to create a contemporary look, consider opting for something radically different in style. Once you’ve got an idea of the shape you’re looking to create, it’s time to start thinking about materials. Metals can be practical options. For example, rolled zinc sheet has a range of properties that make it popular among extension builders. According to roofing specialists Peters Roofing, this material can be cost-effective, durable, versatile and attractive. Another option is copper. This metal is usually rolled to between 0.6mm and 0.7mm when it is used for roofing and it can be worked at any temperature. Copper is extremely durable and, over time, it develops a distinctive green colour, giving buildings added character. Other options include slate, thatch, timber and plastic. 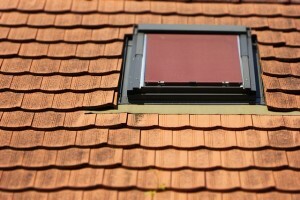 The chances are, you’ll need to use a combination of different materials to create your roof. When you’re selecting them, make sure you take both style and practicality into account. Before your extension project can get underway, you’ll need to make sure you have detailed plans in place. This could be important if you require planning permission. It will also help to ensure that the building work runs smoothly and boost the likelihood that you’ll be pleased with the end results. If you lack the knowledge and skills to draw up these plans yourself, you can turn to an architect for help. This will add to your project costs, but it could help you to avoid disasters further down the line.